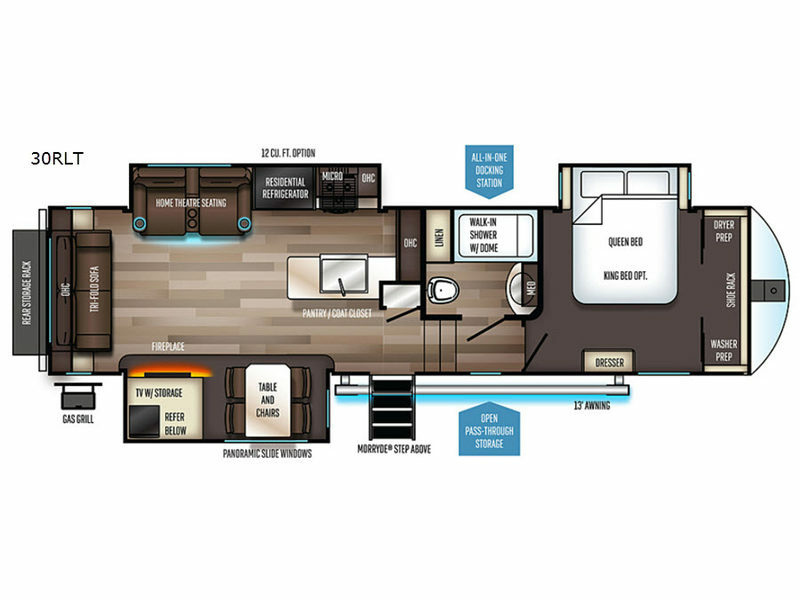 This fifth wheel will have you traveling each chance you get off work. You will find plenty of storage in the full wall wardrobe including a shoe rack, the pantry/coat closet, the overhead cabinets throughout, and along the exterior for your outdoor gear. Just imagine sleeping on your own comfortable queen bed after shopping in town, playing cards with your camping neighbors, or relaxing after a good meal and a glass of wine. 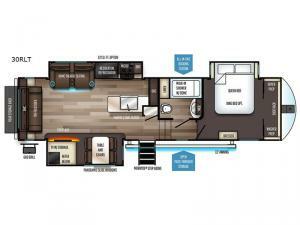 You and your friends will have plenty of seating choices including home theatre seats with cupholders while watching the large residential size LED TV and fireplace with remote. Step inside safely on the MORRyde quad steps to find all the kitchen amenities you will need, and a full bathroom with a glass shower enclosure, plus much more!